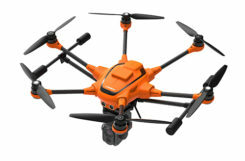 Quectel Wireless Solutions has launched a compact dead-reckoning GNSS module, the L26-DR. The module was introduced at the Electronica 2018 show, held Nov. 13-16 in Munich, Germany. As the latest addition to Quectel’s GNSS portfolio, L26-DR is a concurrent multi-GNSS receiver module embedded with dead-reckoning solution, which greatly improves the positioning accuracy and speed while simplifying customer designs, the company said. 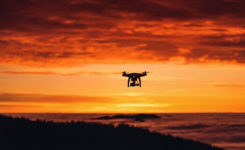 The dead-reckoning capability ensures the module delivers the highest performance positioning solution available, even when GNSS signal is absent or compromised, the company said. Equipped with six-axis sensor MEMs and a powerful GNSS core, the module provides high sensitivity, fast GNSS signal acquisition and tracking with low system integration effort. Moreover, the built-in low-noise amplifier offers the module with improved RF sensitivity and exceptional acquisition and tracking performances even in weak signal areas. L26-DR is able to acquire and track any mix of GPS, GLONASS, BeiDou, Galileo and QZSS signals, which allows accurate navigation in harsh environments such as urban canyons, the company added. 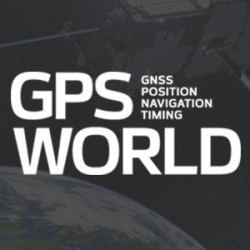 Compared with using GPS only, enabling multiple GNSS systems generally increases the number of visible satellites, reduces the time to first fix and improves positioning accuracy, especially when driving in rough urban environments. Designed for automotive and industrial applications, the L26-DR comes in an ultra-compact size of 12.2 × 16.0 × 2.3 millimeters. The compact GNSS module also supports other precise positioning technologies, including differential GPS (RTCM) and SBAS (WAAS/EGNOS/MSAS/GAGAN). According to the company, engineering samples of Quectel L26-DR will be available in December.